The T-Bird track team has had a lot of success this season. With athletes receiving new personal bests, the boys’ and girls’ teams have been placing in the top three in most of the meets that they have gone to. Most athletes enjoyed participating in track because they got to get out of school, hang out with friends and compete against other kids. “I like to do track because I get to hang out with all my friends and I have a good chance to make it to State in most of my events,” junior Daniel Hacker said. Others do it so they can stay in shape for the fall sports that they will participate in and to compete against other athletes. “I like to do track because I am able to hang out with my brother and sister,” senior Mycha Owens said. Having a large number of kids on the team helps them place and get points at the track meets. The girls’ team has placed in the top three at all of the meets they have gone to. The boys’ team has placed in the top four in all the meets. 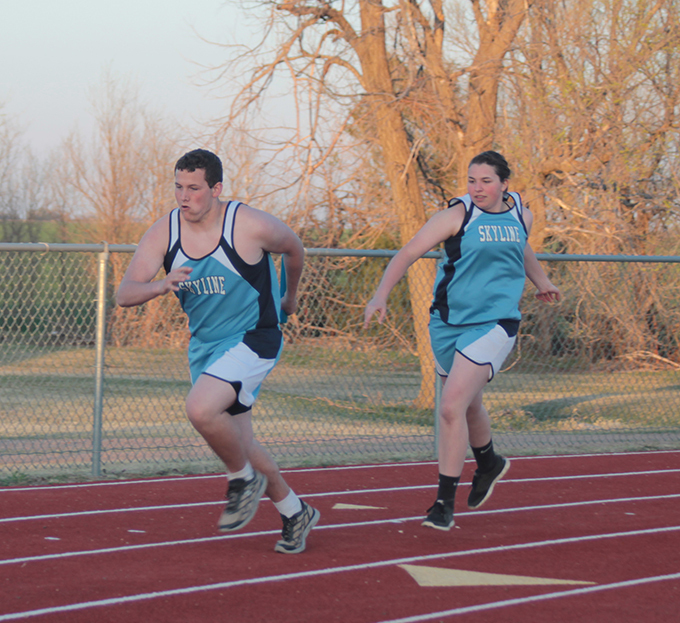 The track team traveled to Jetmore on Tuesday. The boys received one point in the meet and the girls received a total of 12 points. Several athletes achieved new personal records at Jetmore. The team travels to Bucklin today. The competitions start at 3 p.m.